Karbonn Mobiles is on the mission to flood Android market with their latest range of smartphones and tablets under its Android sub-brand – Karbonn Smart. Karbonn is on its way to create an ecosystem under this brand to bring affordable yet technologically rich mobile devices. The new launches include Karbonn Smart A11, A7+ and A1+ and Karbonn Smart Tab 3 Blade and Karbonn Smart Tab 9 Marvel. Most of these new devices are running on Android 4.0 Ice Cream Sandwich and equipped with minimum of 1GHz processor. Check out the details of Karbonn Smart A11, A7+ and A1+ smartphones. Check out the specs of latest Karbonn Smart Tabs – Blade and Marvel. Other features 3D gravity sensor, Karbonn Smart Browser and Karbonn Smart games, TOI & ET app, Facebook and much more. 3D gravity sensor, Karbonn Smart Browser and Karbonn Smart games, TOI & ET app, Facebook and much more. At the same time there are two more Karbonn Smart phones are spotted over online sellers – Flipkart and Snapdeal. 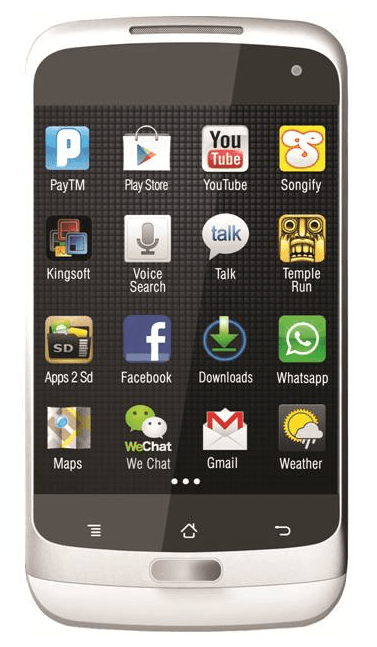 4 inch display, 1.2GHz dual core Qualcomm processor, Android 4.0 ICS, 5 MP rear camera, 1.3 MP front camera, dual SIM, 3G, WiFi, 4GB storage, microSD slot, Bluetooth, accelerometer, proximity sensor, light sensor, compass, 3D G-Sensor, 1420 mAh battery. 4.5 inch display, 1.2GHz dual core Qualcomm processor, 1GB RAM, Android 4.0 ICS, 5 MP rear camera with LED flash & HD video recording, 0.3 MP front camera, dual SIM, 3G, WiFi, Bluetooth, accelerometer, proximity sensor, light sensor, compass, 3D G-Sensor, 1420 mAh battery. Can I use carbonn smart mobile in USA. I felt cheated? ?…bad after buying this handset online…I am Indian….proud to be indian….but after seeing made China on box as well as inside felt big looser trusting brand India karbon…I think company need to pay back for such a false ads ……..so I recommend everyone not to buy any of these karbon mobiles……but of course karbon will not survive!